It’s been a busy week in westerns! As has been already posted on the site, a short fan film by Beat Down Boogie mashed up The Legend of Zelda as a western that is super fun. Also released was the trailer for Quentin Tarantino’s new movie, which also happens to be a western, called The Hateful Eight. It looks like an interesting movie that could be completely enclosed in that single location––a bunch of disparate characters trying to not act on their instinctive nature. If that’s the case it would be an interesting contrast to the epic scope of Tarantino’s previous western––which was also his previous movie––Django Unchained. I wouldn’t call myself a Tarantino fan––not for any other reason than I never really connected with any of his movies on a personal level, though I understand their importance and quality; I’ve seen them all. However, Django Unchained hit all the right notes with me––a blend of western tropes with just enough message to embrace my underlying creed of dulce et utile––and I am jazzed at the idea of him tackling the genre again, especially if it is as different a movie as it seems from the above trailer. Plus, Kurt Russell has quite the mustache in this movie––the cheapest but most impactful special effect in the whole thing, no doubt. Maybe it’s exactly what he does with the other genres he has played with, but the simultaneous respect and irreverence Tarantino exhibited with Django Unchained made what could be argued a stale genre seem fresh again without being dumb, anachronistic, or ignorant, and I am eager to see how he does that again (but in new ways) in The Hateful Eight. Lastly, on my Tumblr blog, I received a wonderful comment from a reader that mentioned an actor that reminded him of Long John Walker himself. 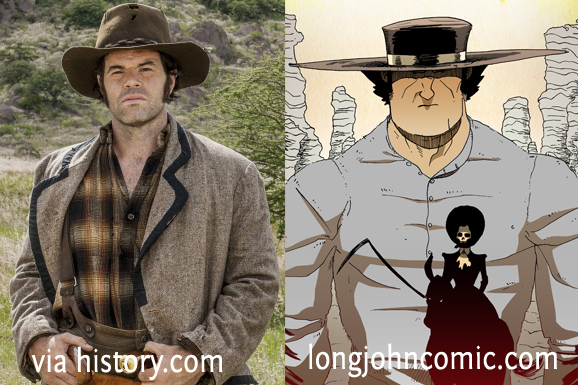 From the History Channel’s mini-series, Texas Rising, it was argued that Robert Baker––who plays Big Foot Wallace (though he was excellent in season 4 of Justified, as well)––bears more than a passing resemblance to our hero. Ashamedly, the name didn’t ring an immediate bell, but when I looked him up I just about freaked out. 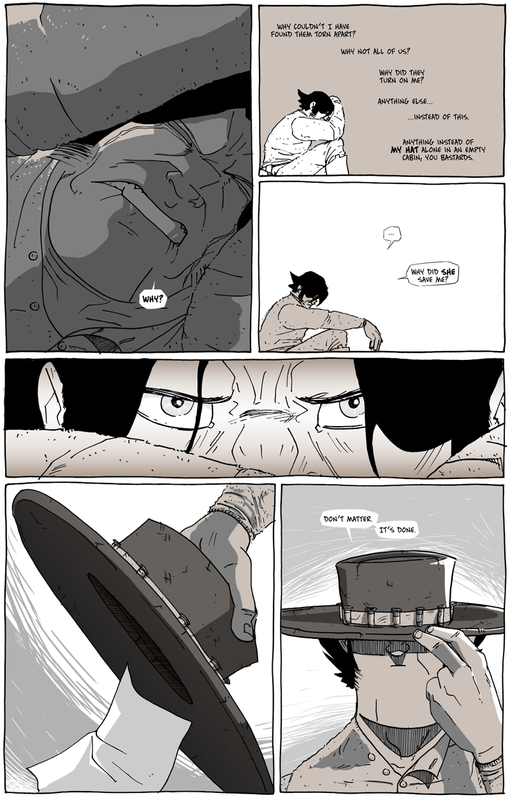 Since the comic debuted, a few people have mentioned its cinematic quality or that it could/should be a movie; as much as I agree, I never really thought it would translate very well, visually, because of how much I exaggerate through my style (due to laziness and artistic license), especially Long John. However, I realize that exaggeration in things like comics and animation are an effort to capture reality; an actor doesn’t need a chin as ridiculous as my drawing to look like Long John, he needs to have a face that is serious (and wears a hat well). Needless to say, I was impressed with the reader’s call and I include a side-by-side comparison below for your perusal. Let me know what you think about the suggestion. It was heart-warming, to say the least (and if the reader who suggested this is reading this, please make yourself known!). Robert Baker on the left, Long John on the right, in case you needed help telling them apart.